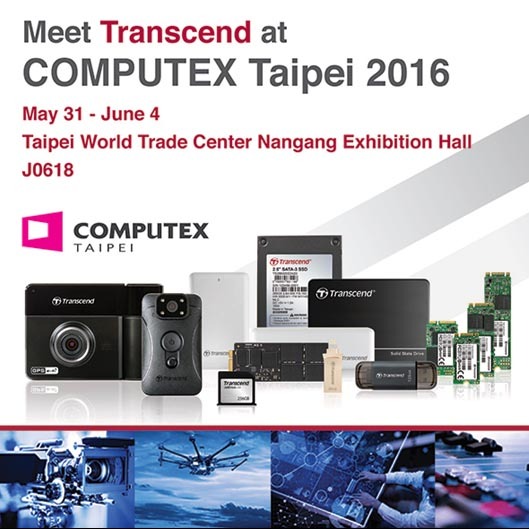 Transcend announced that it will be exhibiting at COMPUTEX TAIPEI 2016 from May 31 to June 4 at the Taipei World Trade Center Nangang Exhibition Hall in Taipei, Taiwan. This year, Transcend will display its latest personal cloud storage, body cameras, car video recorders, Apple upgrade solutions, and a complete industrial product lineup, along with professional on-site demonstrations at booth J0618. Transcend will proudly demonstrate its latest personal cloud storage product, the StoreJet Cloud 110 and StoreJet Cloud 210, featuring home media streaming and back up storage. Visitors can experience seamless media streaming by streaming videos, movies or photos from Transcend’s StoreJet Cloud to mobile devices, laptops and smart TVs, and remotely access their personal cloud device with Transcend’s exclusive iOS and Andriod apps. With up to 4TB of storage space, users can fully back up their data to a central location with absolute data security. During the trade show, Transcend will present its complete range of car video recorders and body cameras. Live demonstrations will highlight Transcend’s latest products, including the compact and mobile-based DrivePro™50 car video recorder, the DrivePro™ Body 20 body camera with built-in Wi-Fi and data security mechanisms, and the DrivePro™ Body 52 body camera, featuring a flexible form factor that can accommodate multiple mounting requirements. Transcend’s body cameras are designed to satisfy military and law enforcement requirements for video evidence collection and data security. As a leader in the field of memory and storage solutions for iOS and Mac products, Transcend is dedicated to providing users with a variety of upgrade solutions. During Computex, Transcend will display its comprehensive Apple-centric product portfolio comprised of four product categories, including the latest JetDrive™ Go Lightning flash drives for iPhone and iPad users, JetDrive™ SSD Upgrade Kits for MacBook laptops, JetDrive™ Lite expansion cards aimed at MacBook Pro with Retina display and MacBook Air users, and StoreJet® for Mac Thunderbolt and USB Hard Drives and SSDs. The Apple Solutions series feature elegant design that complement Apple products, and have been awarded the prestigious Good Design Award in Japan and the Taiwan Excellence Award. Transcend will have an on-site demonstration area to show how the solutions elevate Apple devices to a new level of performance. 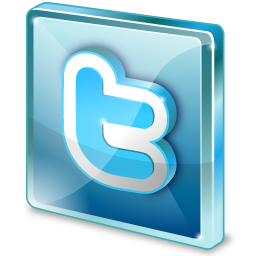 Transcend's industrial-grade product portfolio is comprised of a wide range of memory and flash-based products. This includes a complete lineup of industrial SSD solutions, ranging from 2.5" SATA III SSDs, Half-slim SSDs, mSATA SSDs, mSATA mini SSDs, to M.2 SSDs. A newly released industrial-grade SSD model manufactured with Transcend’s exclusive SuperMLC technology will also be displayed at the exhibition. As the concept of Internet of Things (IoT) is rapidly becoming mainstream, this year, Transcend will showcase its innovative industrial applications based on four fields - Internet of Things, Smart Home, Industry 4.0, and Connected Drive. To highlight its ultimate stability and great compatibility in diverse industrial applications, Transcend will also conduct four professional on-site demonstrations, including SSD Scope Pro software, Security Encryption technology, Intelligent Power Shield, and SuperMLC technology. *Disclosure:An important note, we are just sharing this information to the public, provided by our source. 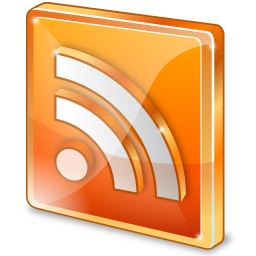 Transcend - Info / Logos / Photos / Images has respective copyrights.